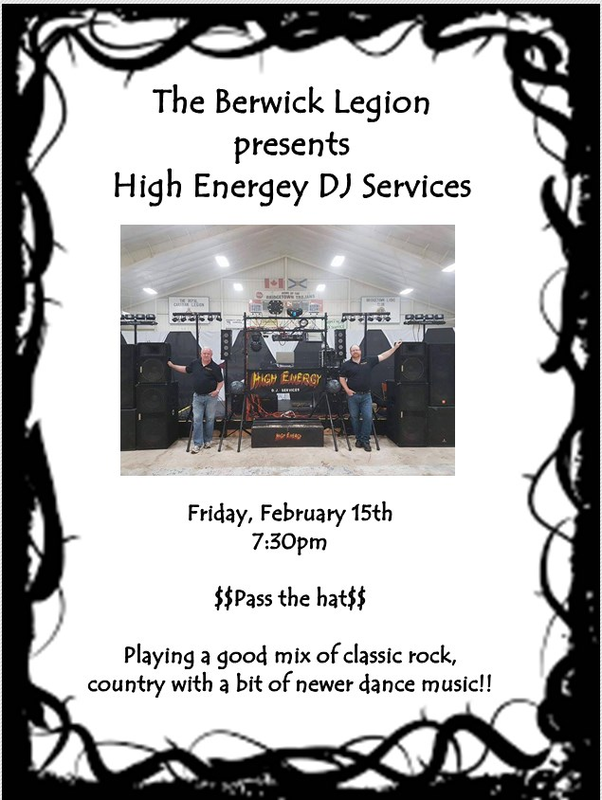 We are pleased to present a night of DJ music with High Energy DJ Services. 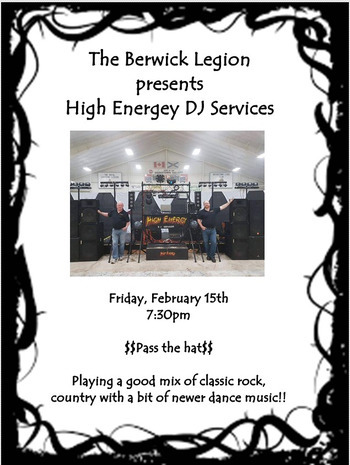 Playing a mix of country, classic rock & newer dance music!! This is going to be the first time we have had a real DJ and its going to be a blast! These guys are playing for pass the hat!